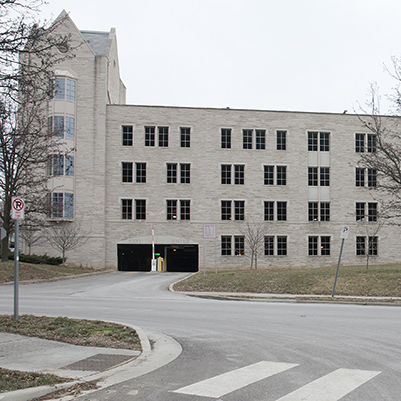 A new five-level parking garage was constructed on the corner of Atwater and Fess Avenues on the IU Bloomington campus. The building is a post-tensioned, poured-in-place concrete structure. The exterior of the garage was faced in part with limestone to blend with other campus buildings. The project also provided approximately 3,699 assignable square feet (asf) of office space to house Parking Operations.